Oskaloosa, Iowa (May 17, 1972) - Ed Sanger of Waterloo was the big winner of the super stock feature Wednesday night at the Southern Iowa Speedway here in Oskaloosa. 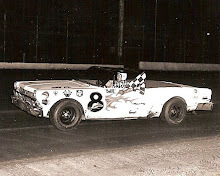 Sanger, driving a Chevy, took the lead from Bill Martin on the tenth lap of the 20-lap race; Martin of Council Bluffs managed to hold off a hard-changing John Moss and Sanger thru the first half of the face. Moss, of Iowa City, was right on Sanger’s bumper when the two cars crossed the finish line. Martin came home a good third ahead of Bill Zwanziger of Waterloo. Ramo Stott of Keokuk and Ron Hemsted of Lone Tree were fifth and sixth respectively. The drivers were so anxious that the red flag came twice before one lap was even completed. The first when several cars bunched up in the second turn and second when Ramo Stott went off the backstretch. George Barton of Ankeny, in his first appearance here this year, captured the 15-lap semi-main. Barton took the lead on the sixth lap from Jerry Roberts of Prairie City, who had led the first five laps. 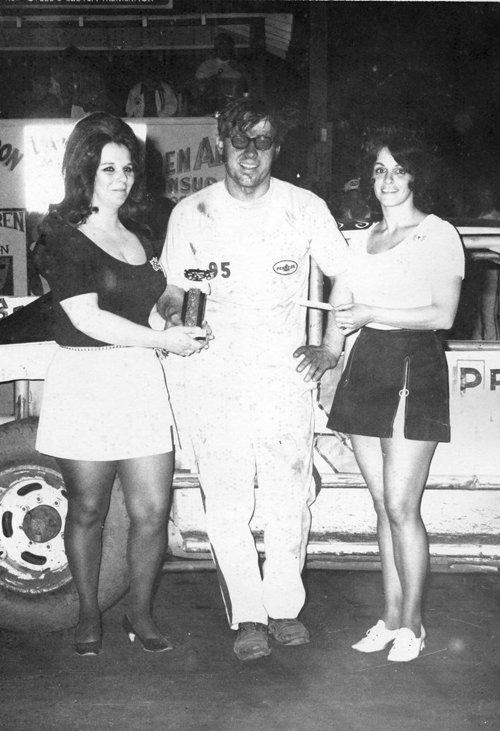 Roberts then held the second spot in a three-car bottle with Roger Kruse and Phil Reece. After a mix-up on the last lap that involved a little fender bending, Karl Sanger took second followed by Reece, Kruse, Tim McDonough and Larry Wasserfort. Bill Martin led all the way to win the first heat ahead of John Moss. Chris Maurer of Colfax won the second heat with Bill Newman a very close second. 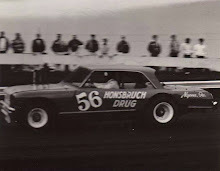 Mel Morris led for seven laps before a blown head gasket forced him out of the race. Bill Beckman took the third heat with a good-sized lead over second place Stott. Ron Hemsted managed to win the fourth heat by holding off Ed Sanger and Dave Chase of Council Bluffs. Sanger and Chase were breathing down Hemsted’s tail pipe all the way. The race was halted on the seventh lap when Mike Niffenegger, Don Hoffman and Chase tangled in the fourth turn. As they were coming out of the turn, Niffenegger became airborne and flipped wildly down the front straight landing upside down just past the flagman. On his first twisting flip in the air Niffenegger hit the top of the fence post in front of the grandstand, breaking it, but luckily, he didn't go over or thru the fence. Even those fans that come to see wrecks applauded enthusiastically and heaved a huge sigh of relief when Mike crawled out of the demolished car. Mike received leg and neck injuries, not believed to be serious. Ed Baker of Norwalk repeated his win of last week when he took the checkered flag for the Sportsman feature victory. Ed Osborn was second followed by Skip Gray of Ottumwa. Tom Johnson of Eldon brought out the red flag when he went sailing thru the third turn outside guard rails. Those steel rails just flew as Johnson plowed thru. He was uninjured in the mishap. John Moss took over the point lead with 1,010 points. Ed Sanger has 985 and Don Hoffman, 880. FIRST HEAT: 1. Bill Martin, Council Bluffs; 2. John Moss, Iowa City; 3. Bill Zwanziger, Waterloo; 4. Curt Hansen, Dike. SECOND HEAT: 1. Chris Maurer, Colfax; 2. 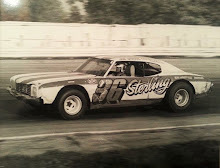 Bill Newman, Burlington; 3. Ron Prymek, Iowa City; 4. Red Droste, Waterloo. THIRD HEAT: 1. Bill Beckman, Lisbon; 2. Ramo Stott, Keokuk; 3. Ron Perdock, Washington; 4. Randy Sterner, Blair, Nebr. FOURTH HEAT: 1. Ron Hemsted, Lone Tree; 2. Ed Sanger, Waterloo; 3. Dave Chase, Council Bluffs; 4. Joe Merryfield, Des Moines. SEMI-MAIN (15 laps): l. George Barton, Ankeny; 2. Karl Sanger, Waterloo; 3. 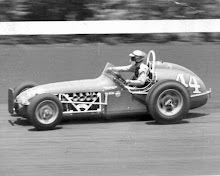 Phil Reece, Des Moines; 4. Roger Kruse, Waterloo; 5. Tim McDonough, Cedar Rapids; 6. Larry Wasserfort, Cedar Falls; 7. Bill McDonough, Cedar Rapids; 8. Joe Schaefer, Waterloo; 9. Ed Mellecker, Iowa City; 10. John Wolf, Toledo. FEATURE (20 laps): 1. Ed Sanger, 2. John Moss, 3. Bill Martin, 4. Bill Zwanziger, 5. Ramo Stott, 6. 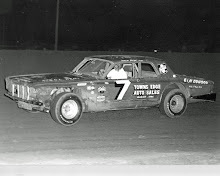 Ron Hemsted, 7. Bill Newman, 8. Dave Chase, 9. Red Droste, 10. Curt Hansen.